This is not your everyday Old MacDonald application! 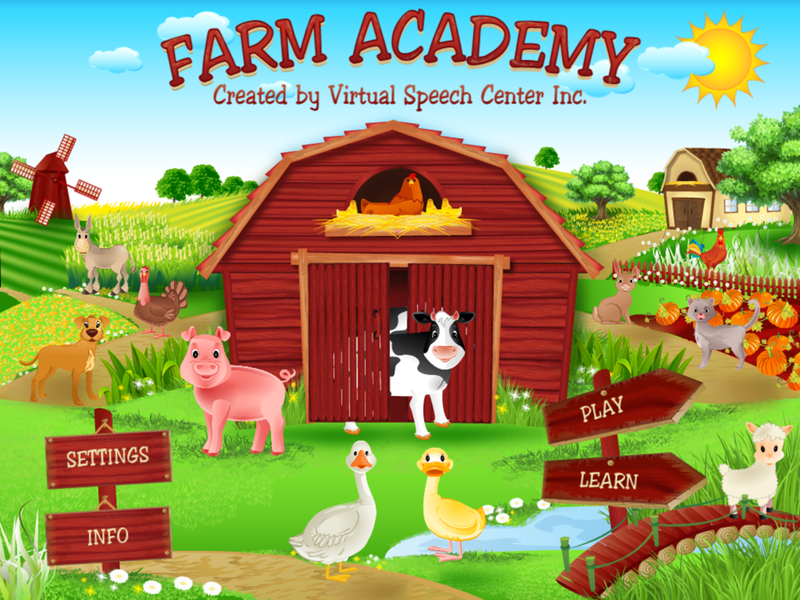 Farm Academy is all about learning basic concepts and vocabulary with a farm theme. Young children will have fun learning animal names, food names, sizes, and how to count while playing with adorable animals on the farm. 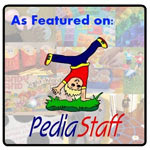 To learn more about how to use this application with your preschool students, continue reading. The "Main Page" of this application has four buttons: Play, Learn, Settings, and Info. In addition, if you press on different animals on the main page, they will animate and make a sound. Pressing the "Info" button will bring you to a page where you can read a description of how to use the application, its intended population to be used with, skills to be learned at different ages, and skills that can be learned by using the application. 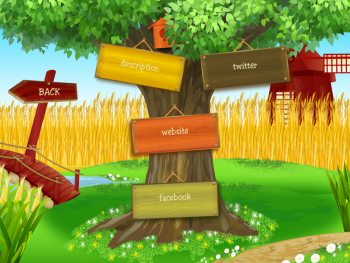 In addition, there are buttons which will bring you to Virtual Speech Center's social media pages and website. There are only two settings that can be adjusted via an on/off switch on this application: background music and auto-paging. There are two different ways to play the application - you can have students first learn different concepts or practice using different concepts that they have learned. Users can press the next button to move on to the next item or the circle arrow to have it repeated. When you are done with an activity, press the "Finish" button to return to the Main Menu. You can view a demo of this application above and continue reading to learn more specific information. Press the "Learn" button to open a menu of four different activities to help children learn different concepts, vocabulary, and counting. Learn Animals - One animal at a time will appear on the screen. It will make its sound and the narrator will state the animal's name. All animals shown will be farm related. 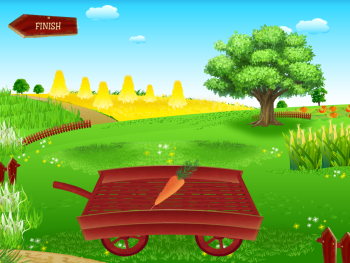 Learn Food - One food item at a time will appear in a wagon on the screen. The narrator will then state the foods' name. Food will be related to what is grown on a farm. Learn Sizes - Two items at a time will appear on the screen, one small and one big. When each is presented, it will be emphasized via animation and narrated aloud. Learn Counting - Animals will appear and be counted aloud starting at one and going up to five. As each animal is counted, it will be emphasized via animation and counted in sequence. 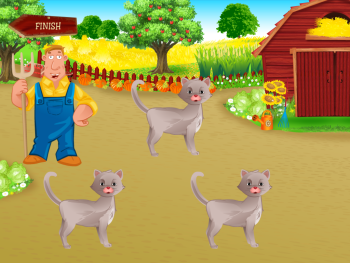 Then, the farmer will appear and state the total amount of animals and the animal type. 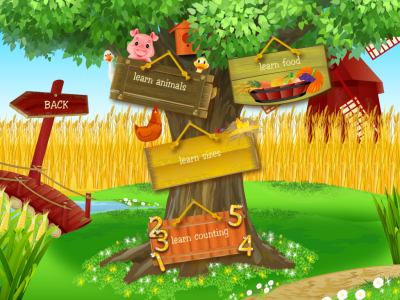 Press the "Play" button to open a similar menu to have children practice different concepts, vocabulary, and counting. 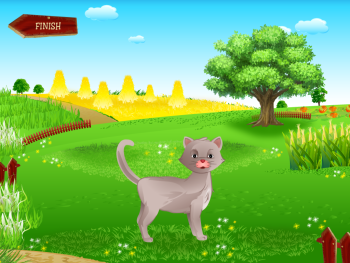 Find Animals - Three animals will appear on the screen. Then, the farmer will appear and state "show me the _____ [animal]". The child must press the correct animal. If the incorrect animal is chosen, the farmer will state "Oops" and the child will be given another opportunity to choose the correct animal. If the correct answer is chosen, the animal will make its sound and the farmer will state a positive reinforcement. Then, the "Next" button will appear to move on to the next trial. 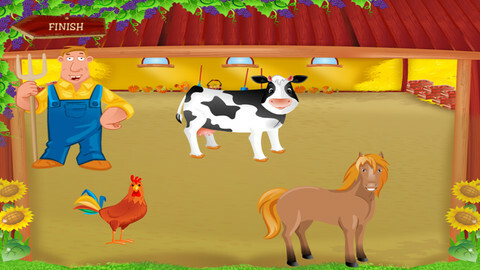 Feed Animals - One or two animals will appear on the screen with three different type of food. The farmer will appear and state "give the [food] to the [animal]". The student must then press, hold, and drag the food to the correct animal. If the incorrect animal or food is chosen, the animal will not eat it. If the correct food is given to the correct animal, the animal will eat the food and positive audio reinforcement will be played. Then, the "Next" button will appear to move on to the next trial. Sizes - Two or three animals will appear on the screen: one big version of the correct animal, one small version of the correct animal, and one other animal. The farmer will state to "find the [big/small] [animal]". If the incorrect answer is chosen, the farmer will state "Oops, try again" and the child will have another opportunity to choose the correct animal. If the correct answer is chosen, the animal will animate/make its sound and a positive reinforcement audio from the narrator will play. Counting - Animals will appear on the screen of the same type. The farmer will then state "count all the animals". The user must press each animal in any order to move on to the next trial. As each animal is pressed, a number shows in the middle of the screen, the animal disappears, and the narrator states the number. Then, the farmer will state a positive reinforcement and the "Next" button will appear. When the "Finish" button is pressed when the therapist decides to discontinue the activity, the child's percentage of accuracy will appear. 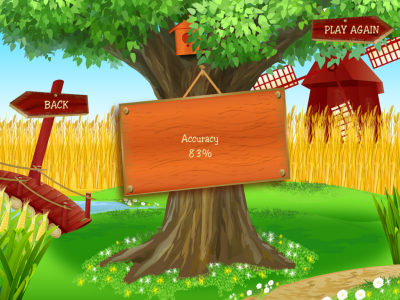 Accuracy is not shown for the counting activity because the child must press each item and count it before he or she can move on to the next trial. You can then choose to play again or go back to the "Main Menu". Everything on this application is farm themed! Not only is the theme great for younger children, but the skills this application focuses on are perfect for preschool aged kids. 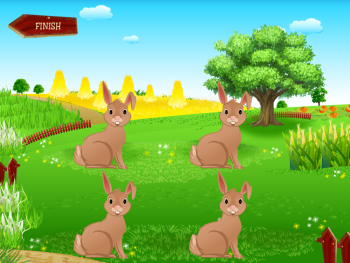 This application is highly motivating with animations and animal sounds. One of my students could not stop giggling as he fed the animals! Narration can be re-played for students who need to hear a direction a second time. The application keeps data which is shown at the end of an activity. The application is divided into two different parts: learning animals without scoring or directions and practicing receptive vocabulary skills. Directions are presented auditorily at a slightly slower rate of speech to allow for processing time. The transitions between activities and the Main Menu are a bit glitchy from time to time. There were a couple times that I saw some odd text that looked like code or the transition looked odd. This is just a minor thing that really does not impact application play, just something I noticed. It would be nice to be able to choose the field of items to be shown between 2, 3, or 4 so that it is more consistent on the find animals and feed the animals game. Instead of just showing the child's overall accuracy, I would definitely be interested in more specific information about what was pressed, which animal the food was given to, etc. when an answer was wrong so that I know what skills/vocabulary to focus more on and if there is a pattern. 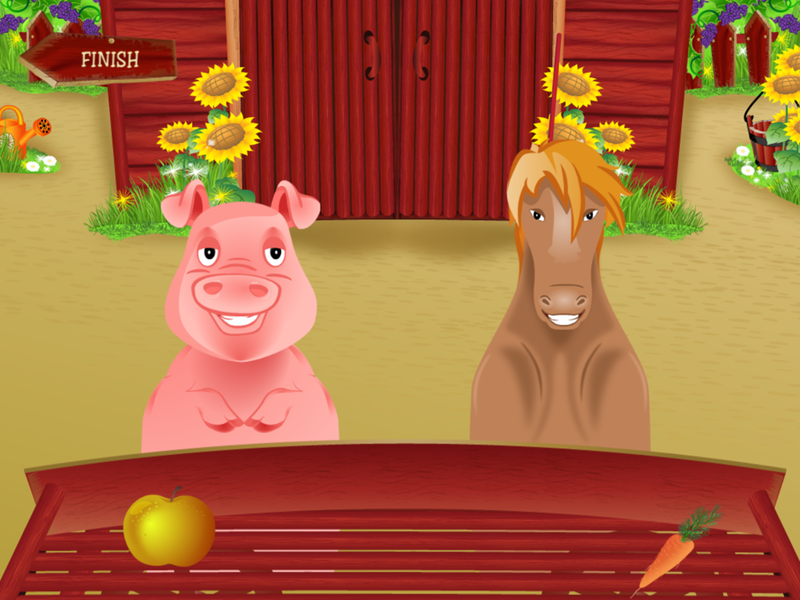 Auditory Awareness - Children can learn farm animal sounds by using this application and pressing on the different animals. Basic Concepts and Vocabulary - Children will learn animal and food names, counting, and size concepts (big and little). Following Basic Directions - Children can practice 1-step directions by giving different foods to various farm animals. 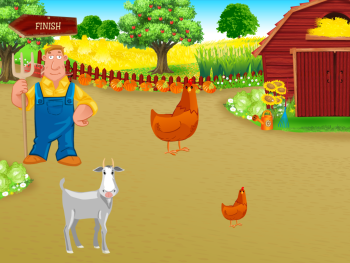 WH Questions - Ask the child WH questions while playing the application such as "what is a cow's baby called?" or "which animal says quack?". Describing - Have children describe the different animals including size, color, parts, etc. They can also compare and contrast the different animals. Farm Academy is available for the iPhone, iPod Touch, and iPad for $0.99. 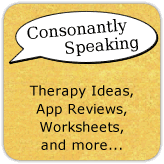 Consonantly Speaking was given a copy of this application to review. No other form of compensation was received.